Video filter plugin for Premiere to reduce grain and noise in digital video. Neat Video Plug-in for Premiere (Mac) is a video noise reduction plug-in designed to reduce noise and grain in digital video sequences produced by digital video cameras, camcorders, TV-tuners, digitizers of film or analog video. Neat Video plug-in for Premiere (Mac) supports Abobe Premiere Pro CS6, CS5.x, CS4 and CS3. 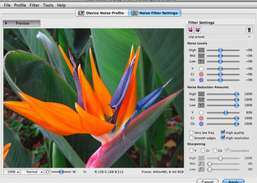 Video software that performs slow motion, zooming, looping and contains a built in YT Downloader. Filter plugin for Final Cut to reduce grain and noise in digital video. Make .MOV, .MP4 & .3GP files slow motion. Filter plugin for After Effects to reduce grain and noise in digital video. Automated video database. Install on multiple systems to create a video network.